Three Mormon meetinghouses in Northern California became shelters Monday for victims of the ferocious infernos that blazed through Wine Country on, killing 11 people and displacing tens of thousands. 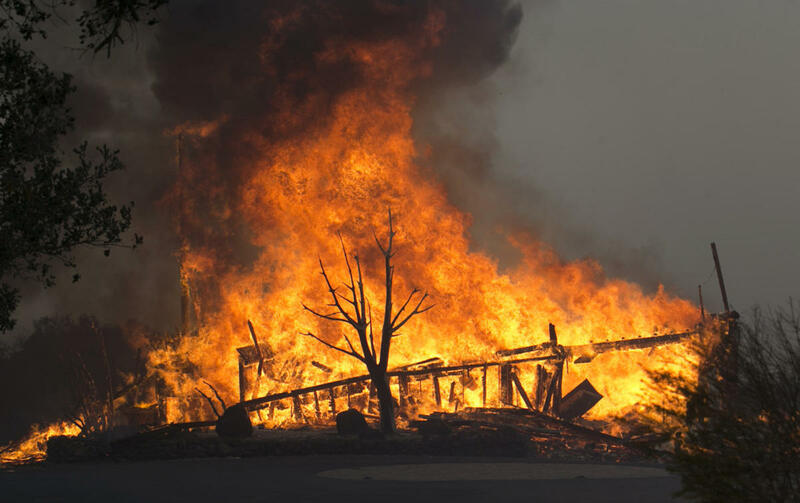 One of the most destructive wildfire days in California history caused the loss of an estimated 1,500 homes and other buildings, including the homes of 30 members of The Church of Jesus Christ of Latter-day Saints, according to local church leaders. All missionaries and church members were accounted for and safe. “Entire neighborhoods are burnt to the ground,” said Rolando Ampuero, second counselor in the church’s Santa Rosa Stake Presidency. The threat is not over. Residents prepared in case the winds that fueled the blazes returned during the night. “We’re on high alert,” Ampuero said late Monday. “In our neighborhood, we’re taking turns who goes to bed and who keeps an eye on our homes.” He is in Windsor, just 10 miles north of Santa Rosa’s hard hit areas. How can I get some donations with supplies /clothes to one of the LDS chapels helping families of the fires?